Re: Anybody else like beet roots? I eat beet root because of it's numerous health benefits, including improved blood flow and lower blood pressure. it is also rich in antioxidants that help prevent cancer and fight inflammation. nimblebowls wrote: I eat beet root because of it's numerous health benefits, including improved blood flow and lower blood pressure. it is also rich in antioxidants that help prevent cancer and fight inflammation. I ate bout a pint today. It seems the more you eat the better they are. Next year I am putting out a lot more, instead of 28 quarts maybe make 50 quarts. Started on another crop of beets. About six hours work and had 27 quarts sealed. A lot of work, but much better tasting than store bought. It was to hot to do anything outside today so got these done. The wife was off work, but had other things to do, so not much help there. I ran them through the canner/cooker on 5 lbs., so they would seal good and the juice would be cooked in good. Like them the same as I do those nasty brussels sprouts. 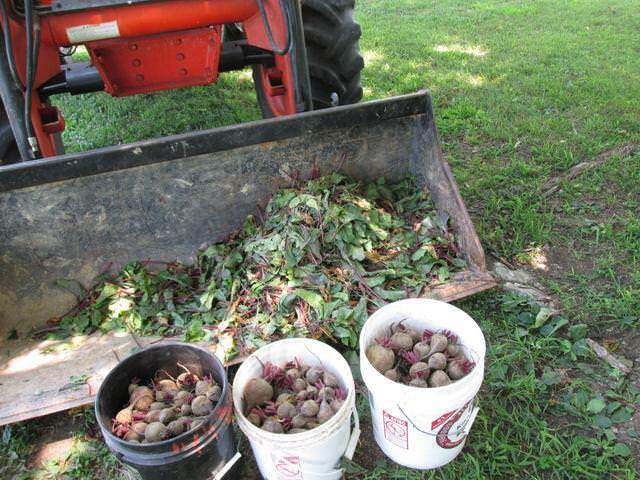 jltrent wrote: Started on another crop of beets. About six hours work and had 27 quarts sealed. A lot of work, but much better tasting than store bought. It was to hot to do anything outside today so got these done. The wife was off work, but had other things to do, so not much help there. 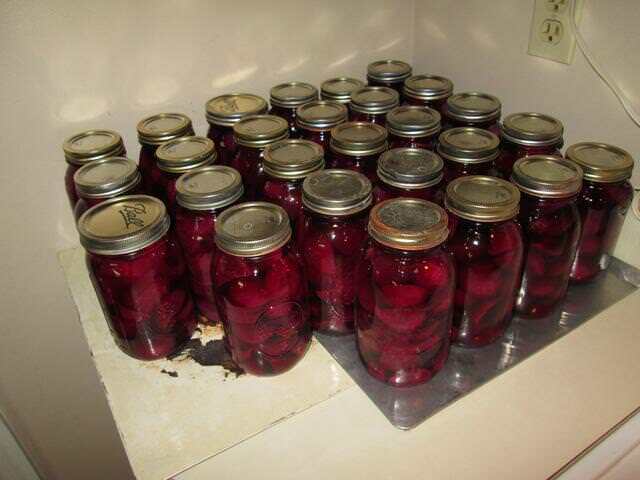 I ran them through the canner/cooker on 5 lbs., so they would seal good and the juice would be cooked in good. I admire your industrious nature but with all that food you are canning and preserving for the year do you feel any guilt in depriving DotGov of you tax dollars by not buying your food at Wallyworld? 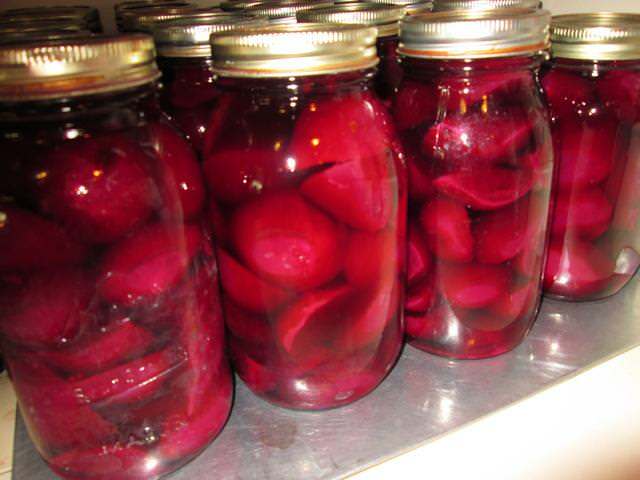 I like beets, eggs and onions all pickled together, there really good for making a little noise. Eating foods because their healthy for you will cause you to miss out on some really good eating. True Grit Farms wrote: ... Eating foods because their healthy for you will cause you to miss out on some really good eating. It boils down to what you buy in a can at the store after eating home grown, is at least to me, not nearly as good and border line terrible. I have two cans of sliced beets in a tin can that is getting tossed as they are terrible. 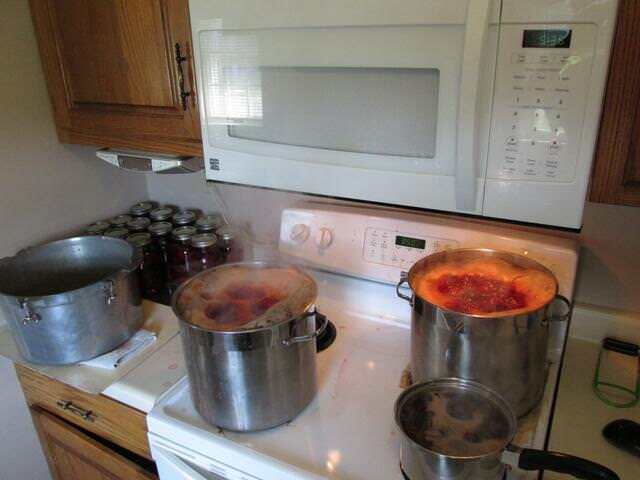 I do cut the sugar back on the beets I make, but with soup beans and corn bread nothing better. I probably could buy what I grow for close the same, especially figuring the hours in because putting a garden out is not cheap as from looking at Jogeephus garden post his is not cheap either. Some years I know I don't come out. I do believe those beets are not bad for you as seems like when I do eat them energy level dose go up. The ones I make bout melt in your mouth, red all the way through and the syrup pressured in, they don't compare to tin can store bought. I have more out if they make it. The most powerful health benefits of beets include its ability to lower blood pressure, prevent cancer, cleanse the liver, treat anemia, increase stamina, and boost libido. They also prevent macular degeneration, improve blood circulation, aid in skin care, prevent cataract, build immunity, and treat respiratory problems. These benefits of beetroots can be attributed to their richness in nutrients, vitamins, and minerals. I LOVE BEETS.... the best way to eat them is as soon as they are boiled (before any seasoning) peal it and eat it like a potato. They look yummy though I don't like them. 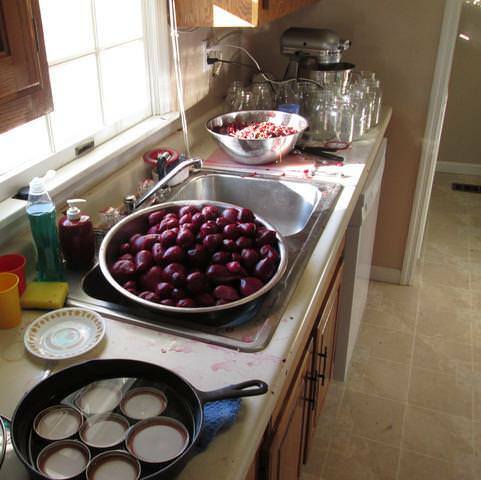 My Mom would hard boil eggs and put them in the pickled beet juice after we'd eaten the beets. I have my Grandmother's recipe. Love 'em. My chiropractor is a big advocate of them. Says they decrease joint inflammation/arthritis. Love iT... It has it all: colours, crunchiness, softness, many different tastes in one bite, it is amazing.